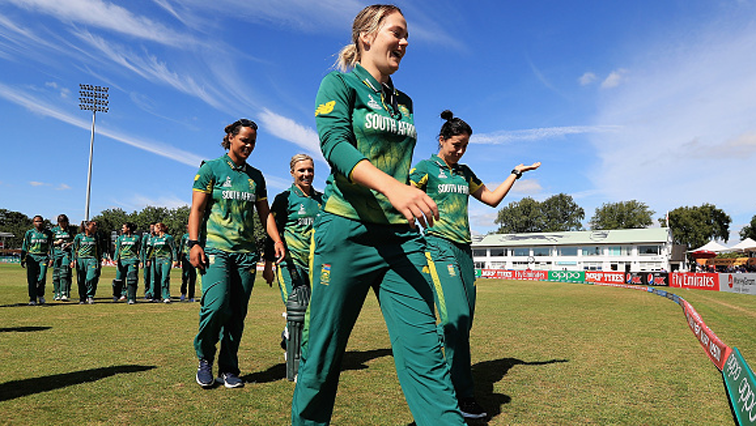 A clean sweep for SA women’s cricket against Sri Lanka in T20 - SABC News - Breaking news, special reports, world, business, sport coverage of all South African current events. Africa's news leader. Proteas made it a clean sweep Sri Lanka in the T20 International series. The South African women’s cricket team has made it a clean sweep in the three-match T20 International Series against Sri Lanka. The Proteas on Wednesday won the third and final match at SuperSport Park in Centurion by 39 runs. South Africa, who were put in to bat, scored 163 for the loss of five wickets in their 20 overs. There were again useful contributions from all of the Proteas top-order — after they lost the toss and were put in to bat first in Centurion. Despite struggling with a stomach bug, and even briefly retiring — it was again captain Dane van Kerk who led South African charge. Van Niekerk was confident and aggressive and together with Tazmin Brits — provided the platform with a 58-run opening stand. She went off the field after 10 overs with the Proteas cruising on 79 for one. Laura Goodall and Sune Luus continued from where she left off. The pair also scored better than a run-a-ball — with Goodall scoring 36 from 30 deliveries, while Luus’ 26 from just 15 deliveries ensured that the Proteas passed the 150 mark. The Sri Lankans fought back with a flurry of wickets in the dying overs. Van Niekerk returned to the middle after the Proteas lost their third wicket — she only added four more runs to her tally but ended up being the top-scorer with 38 from just 29 deliveries. The visitors did well to restrict the scoring in the final over with two more scalps — but South Africa still managed to post their highest total against Sri Lanka in a T20 — 163 for five. Marizanne Kapp made sure that the visitors got off to a sluggish start with a wicket in her first over. Just like South Africa’s captain, Sri Lanka’s skipper Chamari Attapatu also led their recovery. But when she departed in the 13th over, leaving her side on 72 for three — still needing 92 runs — it seemed a bridge too far for the tourists. Seamer Nadine de Klerk led the Proteas assault with the ball — taking two wickets in consecutive deliveries — further reducing the visitors to 96 for six. The Sri Lankans eventually slumped to 124 for eight in their 20 overs, handing the Proteas a 39-run victory — for a comprehensive three-nil series white-wash. This entry was posted on 06 Feb 2019,05:33PM at 5:33 PM and is filed under Sport, Cricket, News, Homepage Latest Stories Slider. You can follow any responses to this entry through the RSS 2.0 feed. Both comments and pings are currently closed.